Oh man! 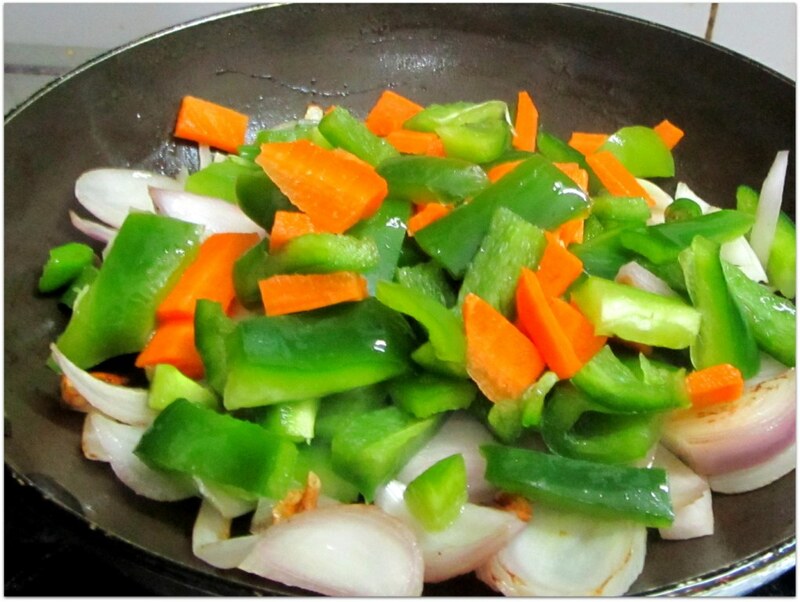 Chinese recipes are so used as fast food in India, that we do not try to make them at home at all. But you see, I learnt from one of the food specialist that, when you are cooking your own food, you know what you are adding to it. And by choice you will not put anything harmful. Then why wait, try this recipe. 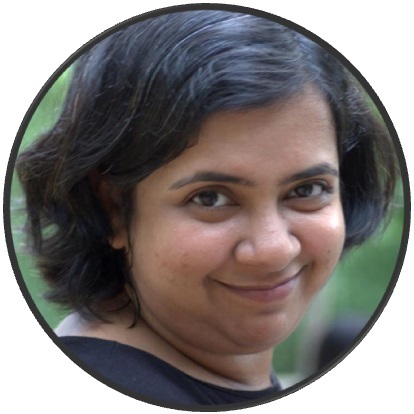 Tweak as you please, and may be you will like it more than the local restaurant you order your home-delivery from. 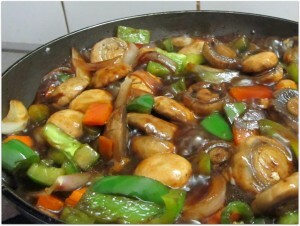 Chili mushroom, is very easy to make and also fulfill the criteria of tasty, healthy, less ingredients and very quick. 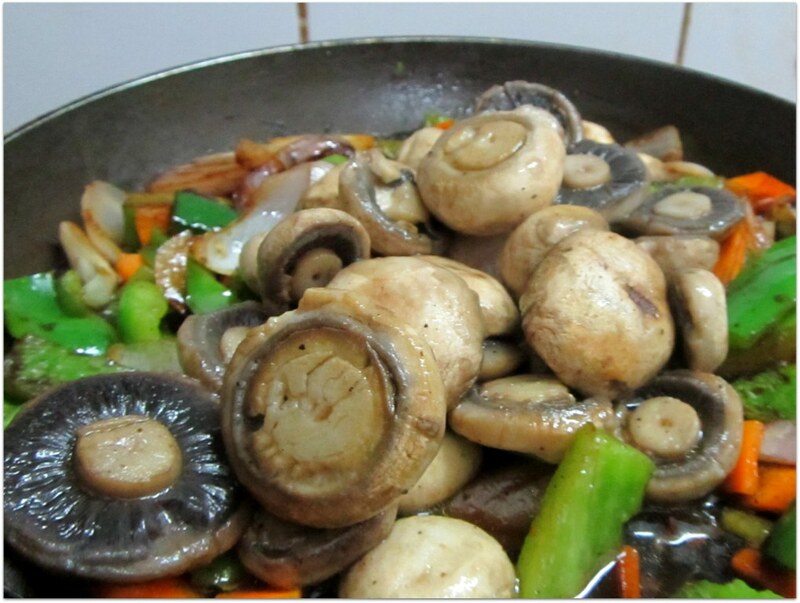 After you clean and cut the mushrooms, put a frying pan or kadai on stove and put some oil in it. 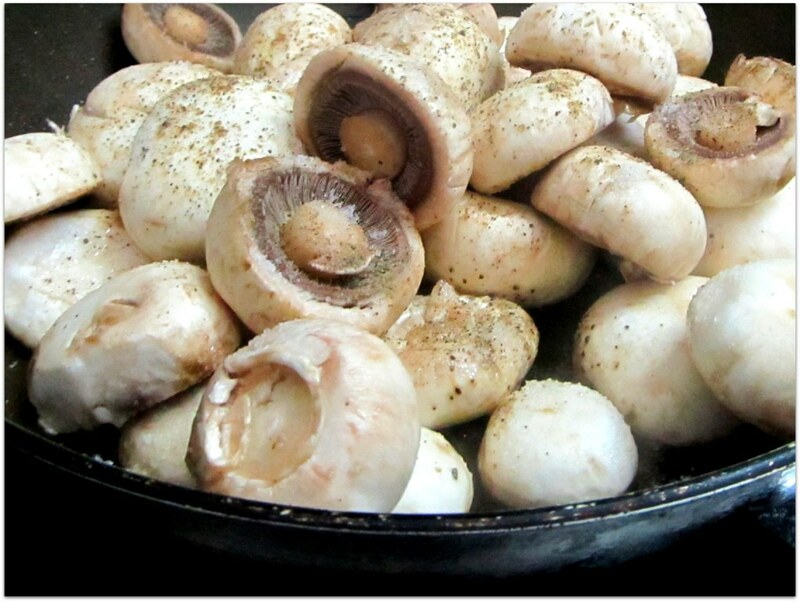 Wait till the oil is hot and then put the mushrooms in, add some salt and pepper. While mushrooms are cooking you can move on to the next job. But keep an eye on the mushrooms. They usually contains a lot of water, as a result they will shrink while cooking. Also they a lot water comes out in the process. Cook till most of the water evaporated. Since we are making a semi-gravy kind of a dish, a little bit of remaining water will not hurt our dish. You can keep the heat low for this one. 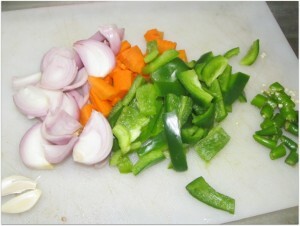 While the mushrooms are cooking, you can take that time to cut the other vegetables. No need of fine knife skills, just roughly dice up onion, bell peppers, carrot (in case you are using one) and green chilies.If you are up for it, add some garlic cloves. 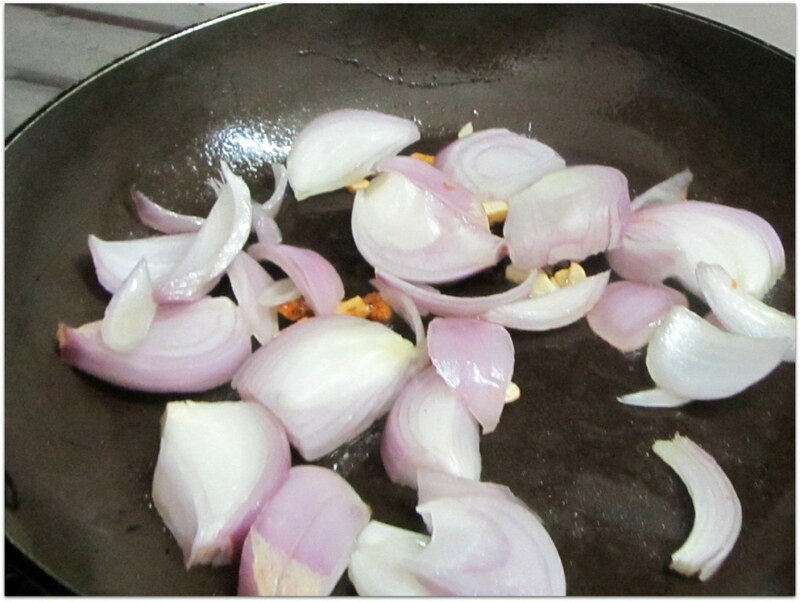 Garlic adds to the flavor of the dish. Just take the skin of the garlic and cut into small pieces and you are done. 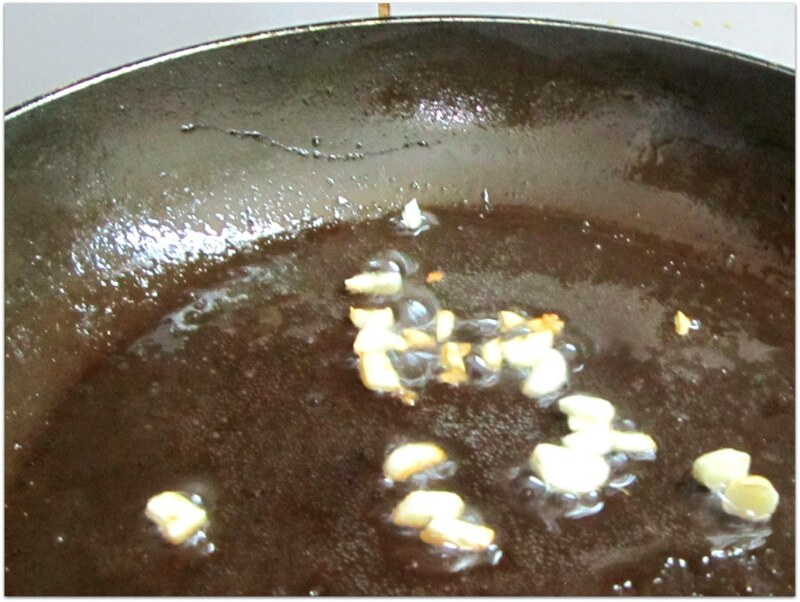 Next, take the cooked mushrooms off the frying pan and keep them aside along with the remaining water. Put the pan back on the heat and add some oil. When the oil heats up, add the garlic and saute them lightly (my garlic was a bit burnt while I was preparing my camera to take the snap). Then add the onion, fry or as they call it saute a little. When you see the onion has lost its firmness a little, youwill know it is done. Now add bell peppers and green chili. If you are using carrots, add them as well. Cook the vegetable for couple of minutes and then add the mushrooms along with the remaining water. Now add the soy sauce, tomato ketchup and chili sauce (or hot-n-sweet sauce). Soy-sauce is a bit salty, remember to adjust your slat when you are using soy-sauce. If you want it gravy rather than dry, then take the some water (according to you gravy need) and mix in one table-spoon of corn-flour. Add the mixture to the vegetables. Stir and take it off heat. 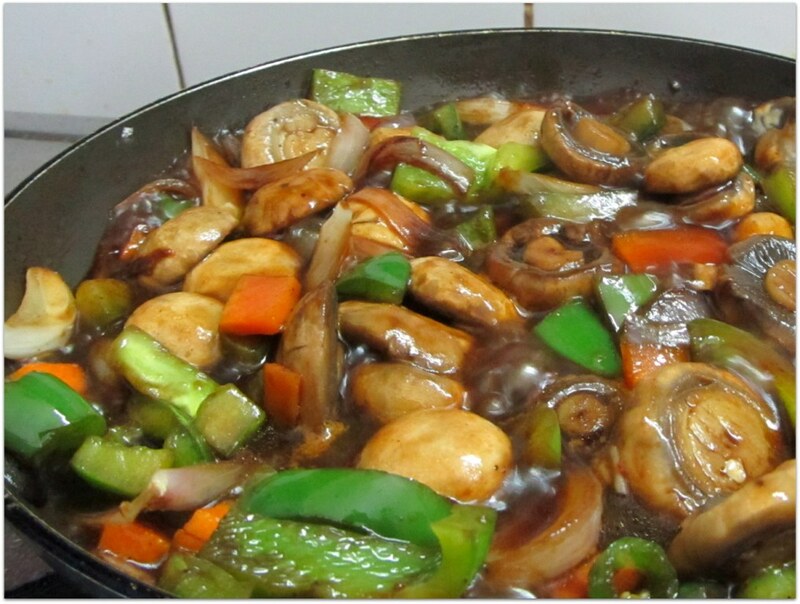 I actually over cooked my chili-mushroom, because my little one also had it with us, so I need to make it soft. But this dish is more enjoyable if the vegetable still has some crunchiness (translation still a bit raw) left. 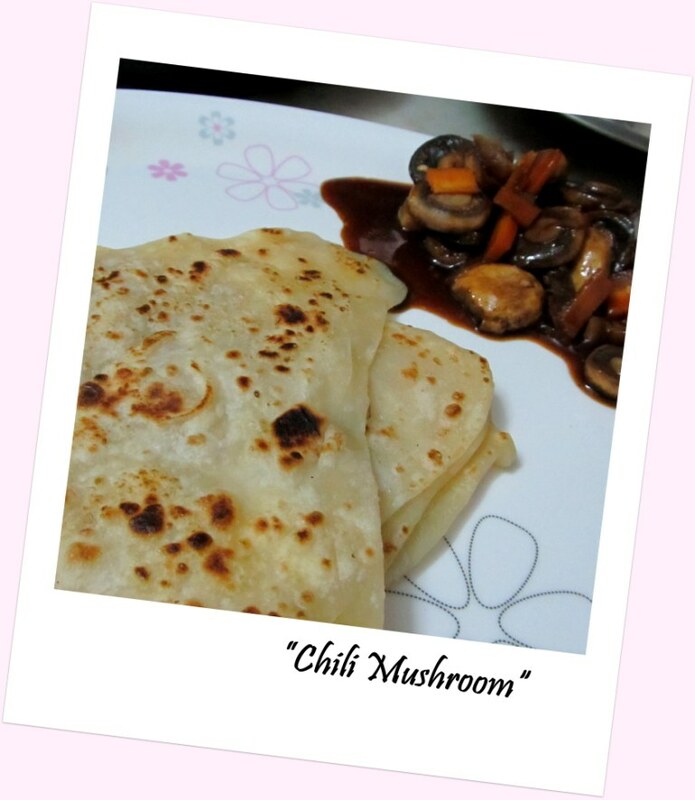 Enjoy your chili mushroom with roti or chapatti or paratha or may be fried rice .